Are you planning to establish EDI connections with business partners in Japan? Or from your Japanese business units with international trading partners? In both cases you should be aware that a number of peculiarities have to be considered to be successful. On the EDI topic this starts with the fact, that proven (but old) domestic communication standards are still widely used by a variety of Japanese organizations, from small entities to market leaders. Although some of those standards will eventually disappear in the future, new local and international standards are still not widely known or accepted. Local standards such as Zengin (developed by the Japanese Banking Industry) have found their way throughout all kind of industries, be it from consumer goods, logistics or automotive. Others such as eBMS or AS2 are trying to gain shares but are still struggling to accomplish this. On the other hand, when doing business from a Japanese business unit with international partners, the all modern EDI standards have to be supported. It is therefore important to work with a partner that has experience with and can support both – the domestic Japanese EDI standards and all the international EDI standards. Moreover, international companies can face other non-EDI related challenges when dealing with Japanese partners. Less risk taking than their western counterparts, the Japanese tend to thoroughly organize tasks which can result in higher project times and costs. The high amount of customized business processes to be covered by EDI can also have an impact on the overall project time. Although Japan decades ago has invented the concept of standardization for the automotive industry, in other industries the focus on customization can´t be dismissed. This is not only because of a change in corporate culture but because Japanese companies set certain expectations towards product quality and variety which can only be accomplished with flexible processes. Nevertheless, success can be achieved, if the expectations and requirements of both business and IT side can be matched. Japan has some unique business processes like monthly invoicing and delivery note with price information. In some cases, those requirements can´t be easily covered by the global IT system setup. 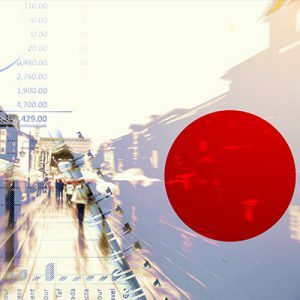 In addition, Japanese businesses are still highly relying on printed traceability of their transactions. A successful project realization therefore doesn´t solely mean to implement some new IT but rather to emphasize the processes which will be impacted by those changes and to achieve a change of mind. Furthermore, the English language is often not widely spoken to an extent where a smooth communication between international parties can be assured. As the Japanese communication style widely differs from a western one, in particular due to the use of different levels of polite language, misunderstandings can easily arise. Foreign customers told us that one of their biggest challenges has been the difficulty of receiving clear answers to inquiries from their peers in Japan. For a successful project execution, it would be of advantage to have an international project team with foreign and local experts, who can both understand and assist in implementing business and IT requirements. On the other hand, Japanese customers told us that the direct way of communication and very demanding time schedules are two of the main pain points experienced during EDI implementations with international companies. Executing a systematic planning phase does require the involvement of the Japanese business side from the beginning and sharing information to all parties, specifically information concerning the feasibility and applicability of new processes compared to the current ones. In summary, having a strong partner who understands the local market, its requirements and unique business culture will be the key to a successful implementation of your EDI strategy in Japan. SEEBURGER and its Japan based partner ENDEAVOR SBC can assist you in this task. For more information, please contact us. 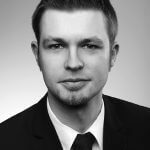 Michael Reinhardt joined ENDEAVOR SBC in 2014 and is responsible for SEEBURGER solutions in Japan. With his background in intercultural management and business process management, he supports foreign as well as Japanese customers during their endeavour of realizing EDI projects in Japan. He is not only assisting his customers in technical matters but in particular in regard to cultural questions and how to conduct a market-oriented project management.